The container wars are over. Kubernetes has won. The fact that Docker even integrates it in it’s desktop version says enough. But creating and maintaining a K8S cluster is still hard. You need to know a lot of the internals of Kubernetes, like etcd, overlay networking and more. And you need to be an expert in all the components: ingress, configmaps, pods and so on. So think twice before creating and managing your own cluster. Instead, choose one of the managed Kubernetes services. Until a few months ago, your best (and probably only) option to run a cluster in the cloud was GKE. But things have changed. There are a lot of viable alternatives. So I decided to write a blog about these alternatives. In my blog I cover Google Kubernetes Engine (GKE), Tectonic by CoreOs, Azure Container Service (AKS), Openshift by Red Hat and Rancher 2.0. All of them are fully managed and take care of upgrading, scaling and monitoring your cluster. And if you reall want to run your own Kubernetes, take a look at the various tools that exist to spin up a cluster. These tools are maturing pretty quickly. Just keep in mind: managing a cluster is harder than just creating one! 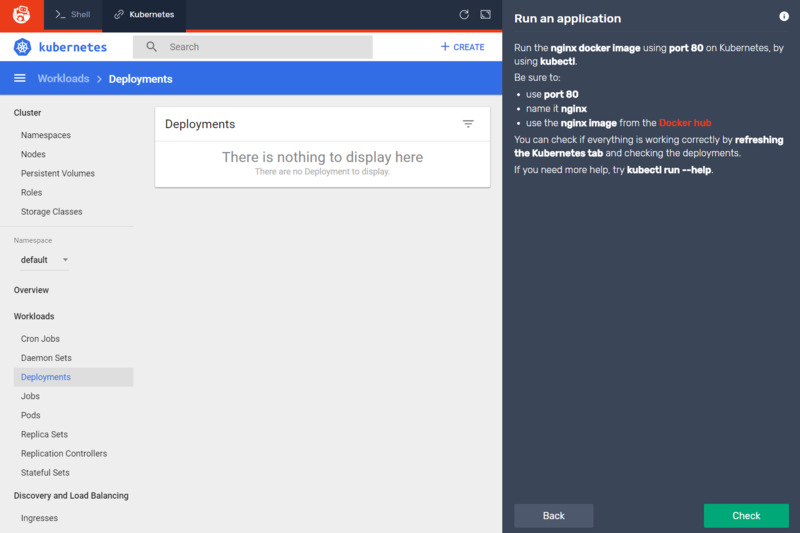 If you want to try out Kubernetes yourself, learn more about it on Instruqt. It offers online courses and tracks for DevOps tools and Cloud services. By solving challenges, you will learn new stuff by doing, instead of watching video’s or following boring tutorials. Try it out for yourself and create an account on Instruqt. And please let us know what you think, we love to get your feedback. And if you are interested in using Instruqt in your company, let’s get a coffee!